Our easy anatomy course includes all the video footage from our Anatomy and Pathology for Bodyworkers DVD, plus 4 brief lessons on the muscles of various body areas, plus 6 lessons on go into more detail on each body area. Almost 3 hours of video. This lesson covers the anatomy of the skeletal system, the names of the bones, the composition of bones and the various types of joints. The conditions covered include fractures, osteoporosis, spondylosis, shin splints and postural deviations. This lesson covers the anatomy of the lymph vessels, lymphatomes, drainage patterns, function and location of lymph nodes. Conditions covered are the common cold, lymphangitis, chronic fatigue syndrome, HIV. 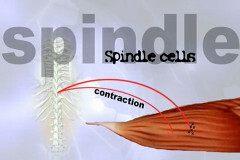 Some basic lymphatic drainage strokes are also demonstrated. 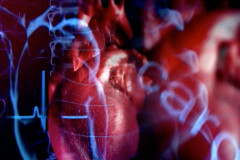 This lesson covers the function of the heart, capillaries, arteries and veins. The conditions covered are varicose veins, diabetes mellitus, heart attack and hematoma. This lesson covers the differences between the somatic and autonomic nervous system. Conditions covered are multiple sclerosis, parkinson’s, peripheral neuropathy and stroke. Also covered are basic massage techniques for the nervous system. This 24 minute lesson covers the various types of muscles, how muscles interact with the nervous system (golgi tendon organs and spindle cells), and how to use these principles in a bodywork session. 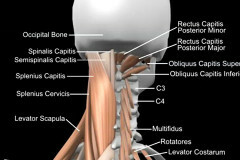 Also covered are the names of the main muscles along with the movements of each joint. Conditions covered are strain, sprain, trigger points, pain-spasm-pain cycle, fibromyalgia, cramps (and how to relieve them), plus some basic massage techniques. This short lesson covers the difference between the axial and appendicular skeletal system, and the muscles that control the spine. 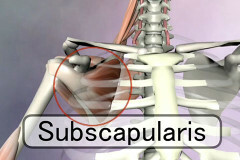 This short lesson covers the muscles of the shoulder, including the scapula movers and the rotator cuff muscles. This short lesson covers the anatomy of the hip, and the muscles that attach to it and move the femur. 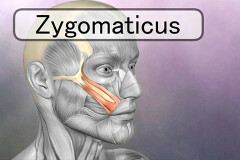 This lesson covers the muscles of the face and jaw. 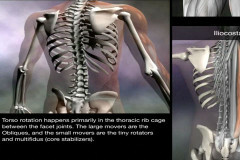 This lesson cover in-depth the anatomy of the vertebrae, the movements of each segment, and the muscles that move the spine. This includes the quadratus lumborum, longissimus, iliocostalis, spinalis, interspinalis, intertransversarii, multifidus, rotators, psoas, iliacus, rectus abdominis, and many others. 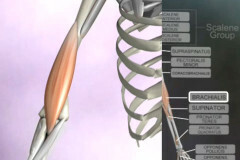 This lesson covers the muscles that move the elbow joint. 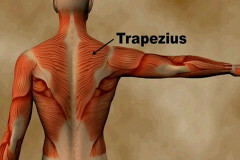 This includes the brachialis, biceps brachia, triceps, anconeus, brachioradialis, and others. 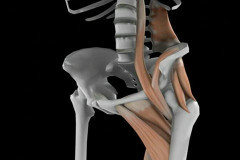 This lesson covers the bones and muscles of the hip. Muscles covered include the psoas, iliacus, gluteus medium, minimus, gluteus maximus, piriformis, obturator externes and interns, gemellus superior and inferior, quadratus femoris, rectus femoris amongst others. 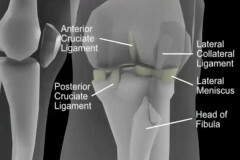 This lesson covers the function of the knee joint and the anatomy of the femur, tibia and fibula along with the various ligaments including the medial and lateral collateral ligaments, the posterior cruciate and the anterior cruciate ligaments. Muscles include the vastus medialis, lateralis and intermedius, along with the rectus femoris, semimembranosus, semitendonosus, biceps femoris, gastrocnemius and others. This lesson covers the bones and function of the ankle joint. Muscles covered include the peroneus longus, peroneus brevis, tibialis anterior, tibialis posterior, extensor hallucis longus, gastrocnemius, soleus and others.